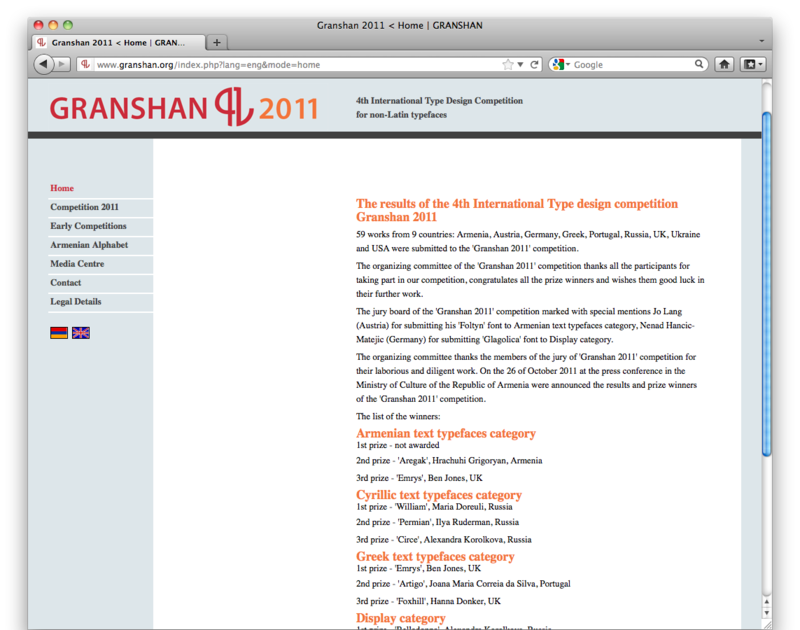 My typeface Foxhill has won the third price in the 'Greek Text Typefaces' category of Granshan 2011: the 4th International Type Design Competition for non-Latin typefaces. the catalogue 'Granshan 2011', which will be issued by the end of this year. The org. committee informs that the works submitted to 'Granshan 2011' competition were displayed at the exhibition in the Bibliotheca Alexandria (Egypt) on the 27-29 of September.